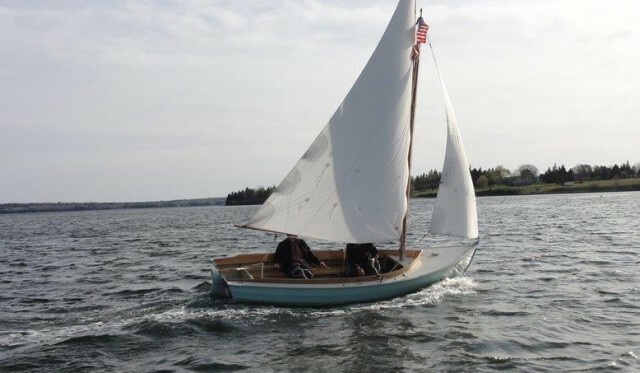 Through special arrangement with Belle Boats, we are pleased to offer the 16ft gaff daysailer Belle to our clients. This is unusual for us, but the original BELLE was designed and built by Daniel Gonneau here at our shop so we are very familiar with the design. 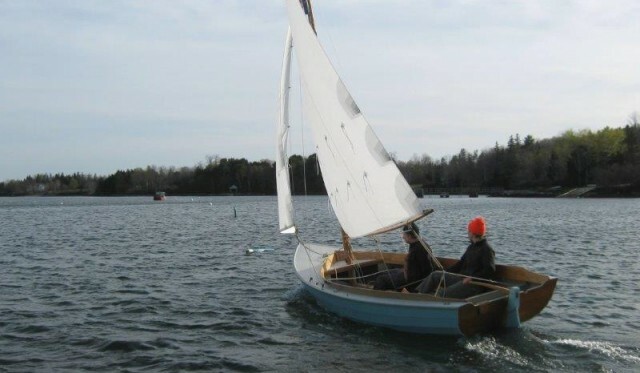 A fine daysailer, she turned heads here in Brooklin and was featured in the 2015 Calendar of Wooden Boats. BELLE’s 6’2” beam provides stability and roominess while her shallow centerboard hull eases trailering (there is no heavy ballast keel) and invites gunkholing. 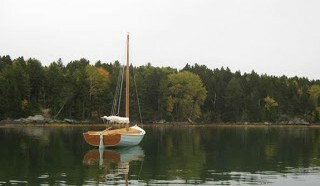 Her simple gaff sloop rig provides ample power. Wide slatted varnished seats are comfortable to sit on and (rumor has it) make for excellent snoozing. Coamings are varnished steam-bent oak. 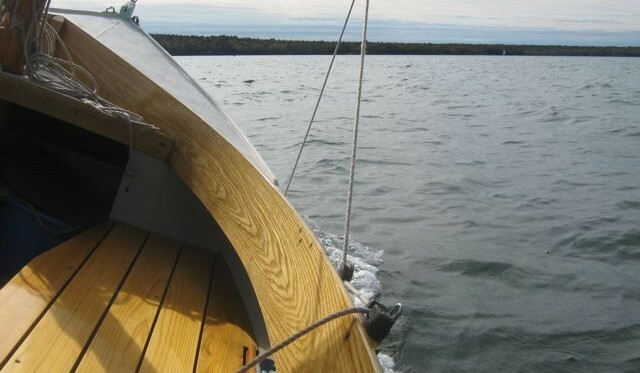 Spars are varnished Douglas fir, mast is hollow. By far the best photo of BELLE was taken by Benjamin Mendlowitz for the 2015 Calendar of Wooden Boats: click to see a copy at his Facebook page. 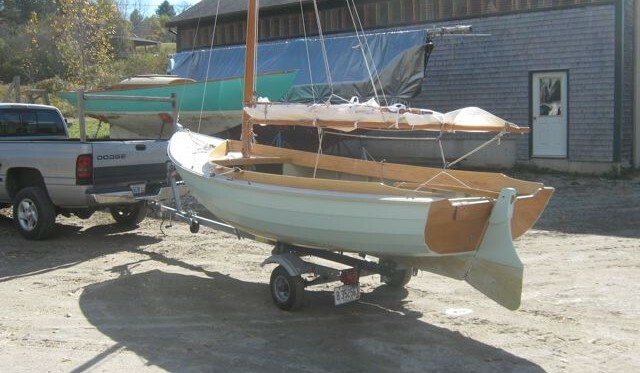 The original BELLE is now with a new owner in the Chesapeake. In October 2017, he took her to the Mid-Atlantic Small Craft Festival in St. Michaels Maryland where, from +100 entries, she won a First Place. He also wrote up a very nice article about BELLE for Small Boats Monthly (February 2019). The photos are excellent and the text really captures the character of the boat.